This was a match that intrigued but couldn’t provide the quality to match. 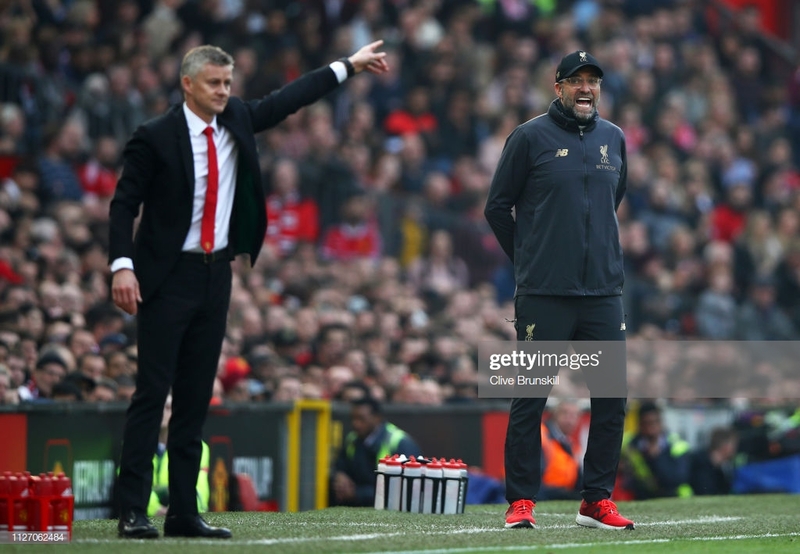 There was tension and intensity but no real opportunities for Manchester United to severely disrupt Liverpool’s title challenge, nor for Liverpool to strengthen it. Was this an opportunity missed by Jurgen Klopp’s side? Most definitely, with United struggling to field 11 players consistently throughout the first half as injuries ravaged the hosts and the amount of possession that Liverpool managed to accumulate. But then a goalless draw – another clean sheet for Alisson – was hardly a terrible result. It takes Liverpool a point clear of Manchester City in the standings but it is how Klopp’s side move on from this result and performance that will be the most important. With testing fixtures against Watford and Everton in the coming seven days, if Liverpool are still top come Monday week then it will have been a successful run for them. This was billed as one of the most enticing matches between these two heavyweights for some years. By the end Ole Gunnar Solskjaer had maintained his unbeaten Premier League record as interim United coach and a dab-hand at continually shuffling his pack, although that was forced upon him. It was the best atmosphere experienced at Old Trafford for quite awhile and had Chris Smalling been slightly more proactive to latch on to a swinging Romelu Lukaku cross or if it wasn’t for a superb singlehanded interception from Alisson to stop Jesse Lingard in his tracks, then the roof of this historic stadium would have practically come off. It would not be wide of the mark to suggest that the hosts had the best of the goalscoring chances, albeit they were few and far between. Despite Liverpool’s keep-ball, they struggled to manoeuvre into dangerous positions and weren’t composed enough to dispatch the final pass. Consequently David De Gea was given an easy ride, Mo Salah was taken off early and Sadio Mane became increasingly frustrated and wayward. Liverpool lacked imagination and, in the end, the ambition to win this encounter. Far too early on, they elected to go long and lacked subtlety and precision. This will be the most concerning aspect for Klopp; the fact that Liverpool’s front three do not look like Liverpool’s front three. Daniel Sturridge was far from an adequate replacement for Roberto Firmino who went off with a rolled ankle and left Old Trafford on crutches. His movement and proactivity was missed once he’d departed. Sturridge though did provide the visitor’s only attempt on target, a speculative shot from far out. This didn’t prove to be the goals-fest that some predicted. More dropped points for Liverpool will be felt heavily around Merseyside, as Liverpool seem to lack conviction when City are increasingly confident in their own ability. This was the latest occasion in which Klopp’s team struggled to assert themselves despite seeing more of the ball and having the more to gain. In large part, United’s defence was the reason for the lack of goalmouth action and certainly made the point that they have also improved under Solskjaer along with the carefree attack he has instilled. Paul Pogba ran himself into the ground and displayed a selflessness that few will associate with him. Lukaku also chased lost cause after lost cause but came up against a sturdy trio of Andy Robertson, Joel Matip and Virgil van Dijk – this was definitely a match for defensive destroyers as opposed to the attackers. Klopp: "A point dropped and two points gained"